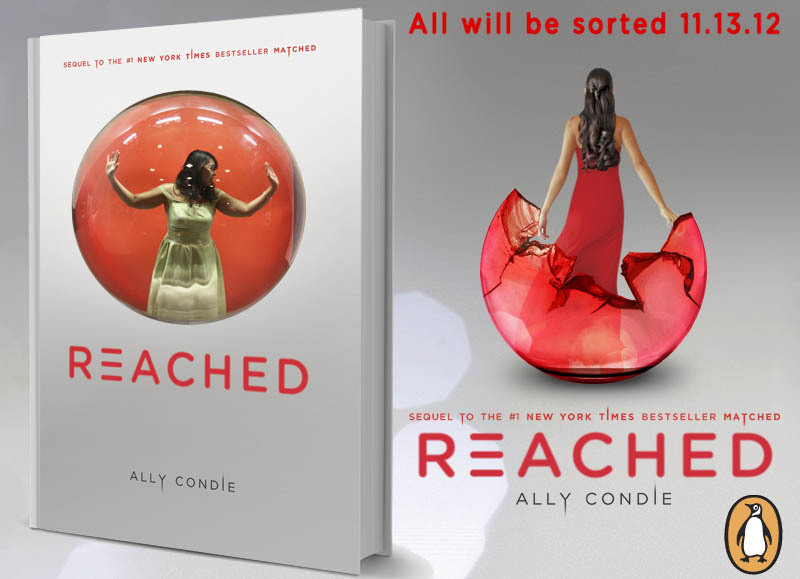 Yesterday Reached, the final installment of Ally Condie‘s Matched series, was released. 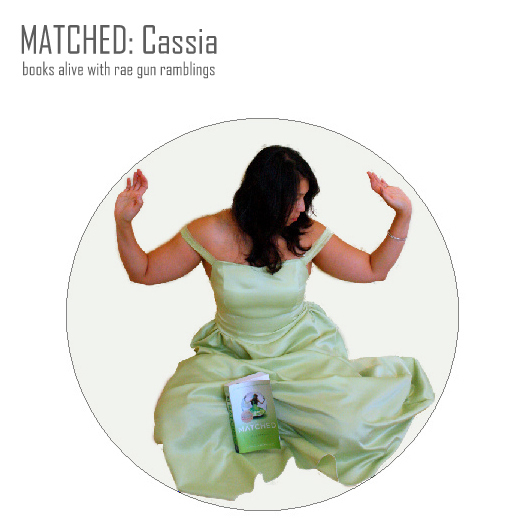 If you have not read Matched yet it’s a fantastic dystopian novel about a girl, Cassia, who grows up in a society where every 17 year old is called to a banquet where you “match”, which is picked for you by the society, is revealed. The twist is that when it’s Cassia’s turn there is a glitch. She ends up seeing two boys and that gets her thinking about how things are run, what other mistakes could be made, and more. In Cassia’s world the society controls everything, what you eat, what you wear, who you marry, and how and when you die. In matched you see her start to question all of it and the adventure just continues with Crossed and Reached. 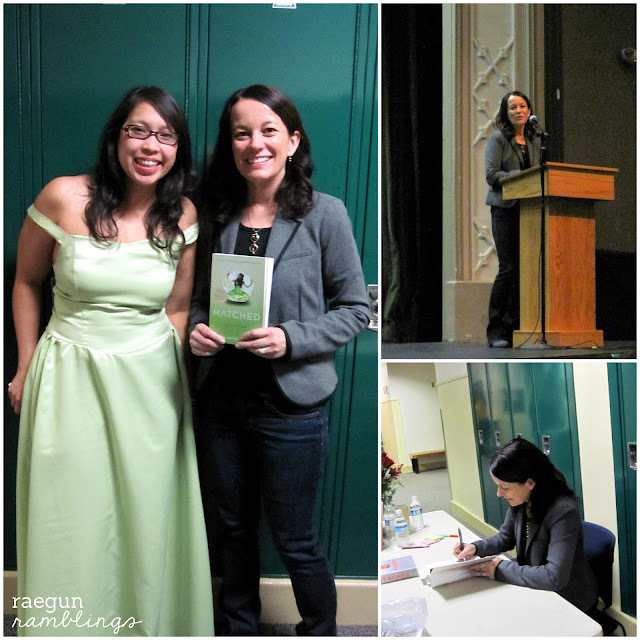 To celebrate the release of the third book Ally and King’s English had a little launch party. And in all my fangirl geekiness I made myself Cassia’s match banquet dress. Oh yes I did. And yes I kept thinking to myself ‘I am too old for this’. But on the other hand I thought, ‘I’m freaking awesome’. But then, ‘holy moley am I really going to wear this into a room full of teeny boppers’? And I did. Luckily I survived and Ally was awesome as usual and it was such a blast to celebrate this great accomplishment of hers! A note about sizing, the widest part of my chest is 37.5 inches and I am 5’5 this fits me pretty snug, maybe an inch bigger with some tugging would work. The back is gathered with elastic on the bodice so if you’re a bit smaller around that should be a problem. Yes the awesome people at Penguin sent the bubble! I have to admit I kind of regret doing the green dress instead of the red. But I knew the bubble would be closed and not broken so that was my thinking. Oh well still fun though right? I may have had a ridiculously fun time making this bookish outfit so don’t be surprised if you see more of this craziness happening. After all I already have my Tris Prior from Divergent outfit down, and I still have to do a blog post with modeled pictures of my Celia Bowen from The Night Circus. I supposed we can just call this one Hermione right? Who else do you guys think I should do? That is sooo cool. I can’t wait to get Reached and then Crossed. I’ve only read Match but it is sooo good! My true favorite book is “Music of the Dolphins”. You are so awesome! You are pretty much my favorite ever! I had so much fun with you! My daughter and I have been dying for this to come out! Wow, that dress is absolutely, stunningly beautiful! <3 i’d totally wear it to prom! (if I can go…haha)Your sewing skills are truly amazing (I make plushes for my friends and haven’t really tried sewing clothes yet)!I’ve been borrowing Matched and Crossed from my friend over and over again because I am totally obsessed with the series! Wow, that is truly amazing. I am a HUGE matched fan, love it! Wonderful job on the dress! I’m excited to read the last installment. What a fun idea!!! Very cool & nicely done. Beautiful dress! I looks amazing in the bubble!! Wow, Rae! Beautifully done! So adorable! Thanks so much for doing this giveaway! I love the book cover idea! You are pretty awesome! Love the dress! I have the 3rd book on hold at the library…can’t wait to read it! You definitely get props for doing what you want to do! I never read the Matched series but it seems very interesting. I’m going to put it on my reading list. My favorite book series was Gingerbread by Rachel Cohn. checked out Matched from the library based on this post – it was a quick, fun read. Thanks for the recommendation! That is awesome! I love that you made a dress from a book. I always wanted to do that with Harry Potter for the movies. You are so creative! What fun. What a clever giveaway! There is no way I can choose a favorite book! I’m always looking for great books to read! Thanks for the chance! That is stunning! Other than that…I’m speechless! I love people who dive into books, I´ve sewn Gryffindor robes ad Twilight purses myself, and designed little Hunger games toy cars… yeah, I can totally understand you, unknown sister-in-mind! And I loved the night circus, too. I can highly recommend The Mortal Instruments, if you haven´t read them yet. Other than that, I think the Game of Throne books are fantastic for sewing dresses. The books have such a lovely medieval touch! However, I found you via Hopestudios, and I bet I´ll be back soon! I think it’s great and am looking forward to starting this series, I am intrigued! Visiting from Domesblissity. What a fun thing to do. Thanks for sharing another book with us! This post made me love you just a little bit more…I am going to have to read up on your book posts and get some tips on good books. Love the dress! What a wonderful giveaway. Ally is so sweet! I love her events, wish I could see her on this tour! Can’t wait to see the divergent outfit! My favorite book is The Mortal Instruments series.